The dessert for our second World Spices cooking class was a pistachio and cardamom Kulfi, an exquisite frozen confection from Pakistan (and India). 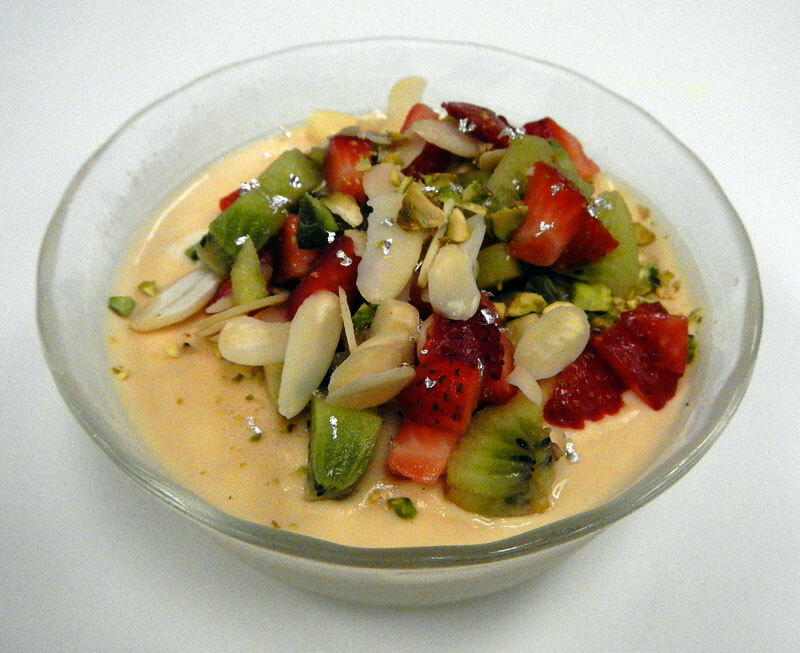 from Pakistan: Kulfi Frozen Dessert with Almonds, Pistachios, Strawberries, Kiwis and Edible Silver. 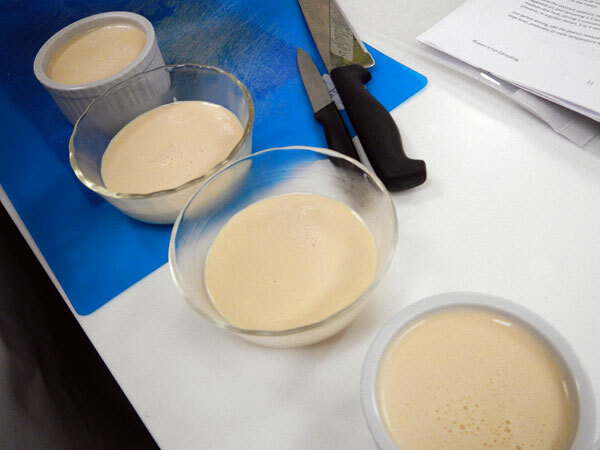 The dessert starts by simmering evaporated milk, whipping cream, crème fraiche and cardamom until reduced, whisking occasionally. Then sugar and dissolved corn starch is added. 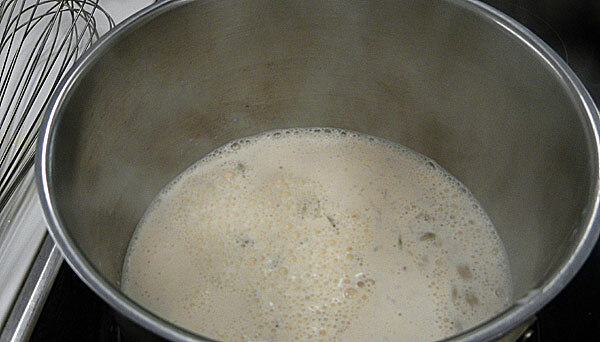 Once it is dissolved it is removed from the stove, allowed to cool and the mixture is strained to remove the cardamom pods. 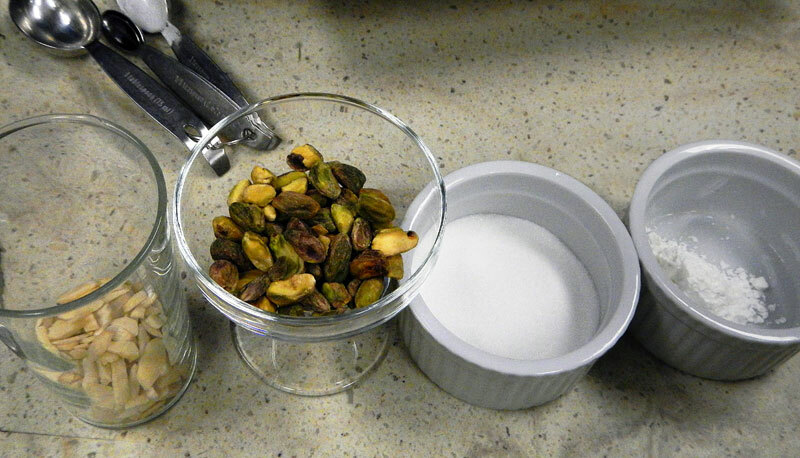 Chopped pistachio nuts are added and the mixture is poured into serving glasses and frozen for at least three hours. The frozen concoction is topped with chopped almonds, pistachios, strawberries and kiwis, and then dusted with the final touch, edible gold or silver! 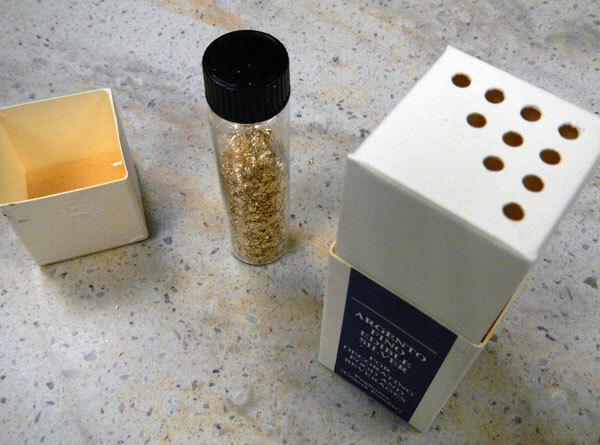 edible gold and silver make the dessert even richer, if that’s possible! More of Ailsa’s travel theme: sugar.